For over 120 years, Spence Brothers has been a trusted general contractor for numerous project owners throughout Michigan and beyond. 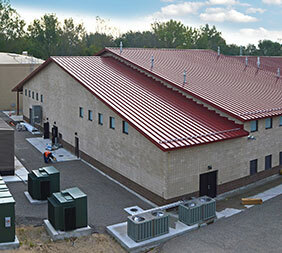 Our firm’s reputation for building important projects, with an uncompromising commitment to safety, integrity, quality, and value, is the primary reason for Spence Brothers’ longevity in the construction industry. While many project owners have moved to utilize construction management, design-build, and other innovative forms of project delivery, the general contract remains a familiar contracting option in the industry. The benefits of general contracting—lower risk to the owner at the lowest price—are best enjoyed when trusted, quality contractors are invited to bid. One of Spence Brothers’ strongest assets is our network of subcontractors cultivated over decades of work throughout our industry. One of Spence Brothers’ strongest assets in general contracting is our network of subcontractors cultivated over decades of work throughout our industry. Each generation of Spence Brothers’ leadership has developed relationships forged through building important projects with trusted leaders in the various construction trades. While our firm maintains a high standard for quality, safety, integrity, and workmanship in our project partners, we humbly respect the important role that our trusted subcontractors play in our own success. This is reflected in our focus on rewarding subcontractors that do great work by prompt payment and fair management, an approach that allows us to receive subcontractors’ best bids, thereby contributing to our continued success in general contracting. When our project partners hire Spence Brothers, they hire our relationships, expertise, and trust cultivated throughout the construction industry over 12 decades.